With icebergs the size of skyscrapers and a domineering ice sheet taking up more than 80% of the total landmass, Greenland holds a unique Arctic world that every world traveler should strive to visit. 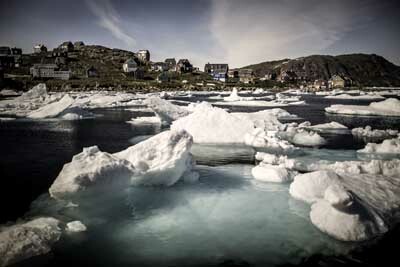 Greenland is one of several countries in the world suffering from the terrible consequences of global warming. As Greenland is one of my favorite travel destinations in the world, I find the influence of the climate changes highly disturbing. Therefore, I have gathered some of the most amazing experiences of Greenland which everyone should strive experience before it is too late. Experience Greenland from the perspective of a dog sled The unique world of Greenland is breathtaking on its own. But to experience the Arctic world while riding across the inland ice is incommensurable to any other experience you will have when visiting Greenland. As I rode across the ice while enjoying the A majestic Arctic landscape of snow and ice fascinating experience of man and dog working together in nature, I realized that this country is different from any other I have ever visited. The fascinating nature, the rare Inuit culture and the hospitable local people are all factors that makes Greenland a unique place to visit. And while dog sledding across the dominating Greenland Ice Sheet, all three factors appeared to me at once. Dog sledding is at once a social, physical, and nature based experience. It draws on centuries of development and today it is a mix of everyday transportation in Greenland and expeditions style travel experience. This makes it a classic way to experience the Arctic nature and the everyday life of the local people. 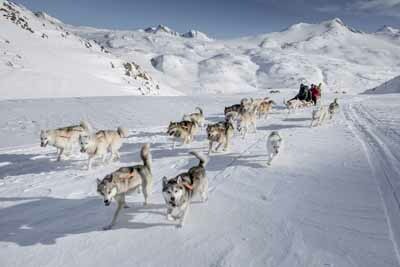 Since the ancestors came to Greenland more than 4000 years ago, dog sledding has been the number one mean of transport when going from one place to another in Greenland. This amazing and different experience is definitely something that every traveler should strive to experience when visiting Greenland. Unfortunately, the amazing ice sheet is often mentioned in relation to debates and discussions about global warming all over the world. The increasing global temperatures is influencing the Arctic world, and it is natural to ask how much the world’s ice masses will be affected by the climate changes. Glaciers are pulling back year after year and the local people report that the sea ice is three feet thinner today than it was earlier. If this amazing world truly is disappearing, I will suggest every world traveler to visit this amazing place before it is too late. But which way is the best way to experience the magical ice-covered world of Greenland? Luckily the Greenlanders are aware of the beautiful world of snow and ice they live in, and therefore several ways of experiencing the Arctic world are available. The one way i chose, which is the one way I will suggest everyone else to experience the frozen country as well, is to see the magical world from above. 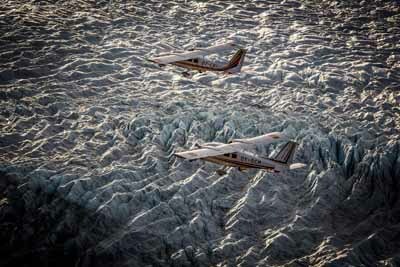 To fly above Greenland provides a new perspective of the enormous size of the world’s largest island, and the conditions for life in the Arctic. The Arctic wonder truly is amazing, and flightseeing will make you realize why we should definitely take care of this beautiful but fragile world. It is not just the fascinating life above the ocean surface that impresses tourists as well as the local population everyday. Underneath the surface of the cold and dark ocean, number of seal species, enormous whales and fascinating walruses hide. And these amazing marine animals are not afraid to expose themselves to curious tourists. Seconds and minutes feels like eternity when you wait for the majestic creatures to come to the surface, but when they do, it is a truly overwhelming feeling. Whether it is your first or fifth whale watching tour, seeing such an enormous creature right in front of you is an amazing experience. Even though it is something I have experienced several times, it is still one of my first priorities each time I return to the wonderful world of Greenland. The terrible consequences of global warming are not just affecting the beautiful landscape of Greenland. The Arctic fauna is in great danger of being affected by the climate changes as well. The Official National Tourism Board of Greenland has developed an infographic highlighting the terrible consequences of global warming. This infographic shows that several species such as arctic birds and the incredible polar bear are threatened by the melting ice. It is possible to read more about the climate changes and view the infographic live at the homepage of Visit Greenland. Climate changes and global warming are hot topics of discussion all over the world. And even though some people still deny the fact that the temperatures are rising and our planet is changing - most people are aware of the fact, that there is something about global warming. The crucial question is whether the climate changes are caused by man or if it is simply just a natural phenomenon. But no matter what, the wonderful Arctic world is affected by the increasin temperatures, which makes it an even more important destination to visit. I will suggest everyone to experience the world’s largest island before it is too late.